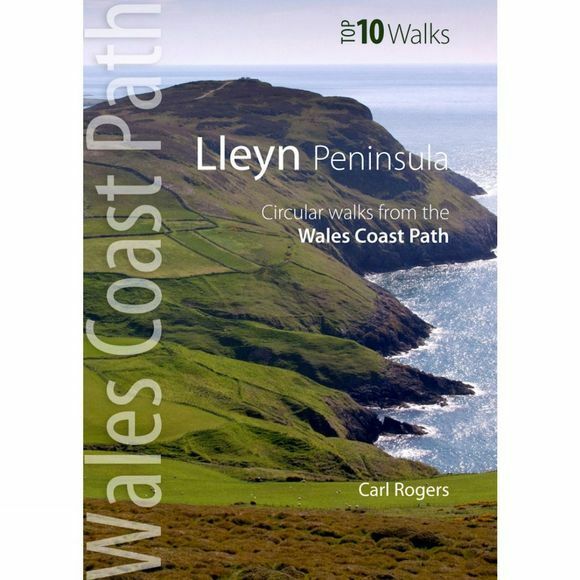 This attractive and cleverly structured guide gives walkers the ten finest routes along a section of the Wales Coast Path, in a popular pocketable format. With clear information, an overview and introduction for each walk, expertly written numbered directions, large scale Ordnance Survey maps, superb, eye-grabbing panoramic photographs and interpretation of points of interest along the way, these guides set a new standard in clarity and ease-of-use. Featured walks include: Dinas Dinlle, Port Dinllaen, Tudweiliog, Whistling Sands, Aberdaron, Mynydd Rhiw, Abersoch, Criccieth and Porthmadog.